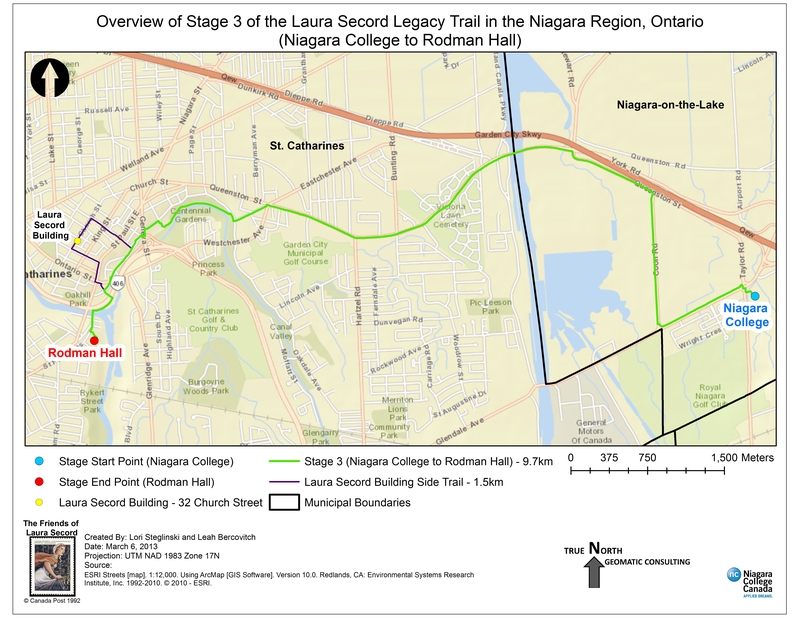 A turn-by-turn guide to the Laura Secord Legacy Trail is available below in downloadable PDF version or in a mobile-accessible web version. 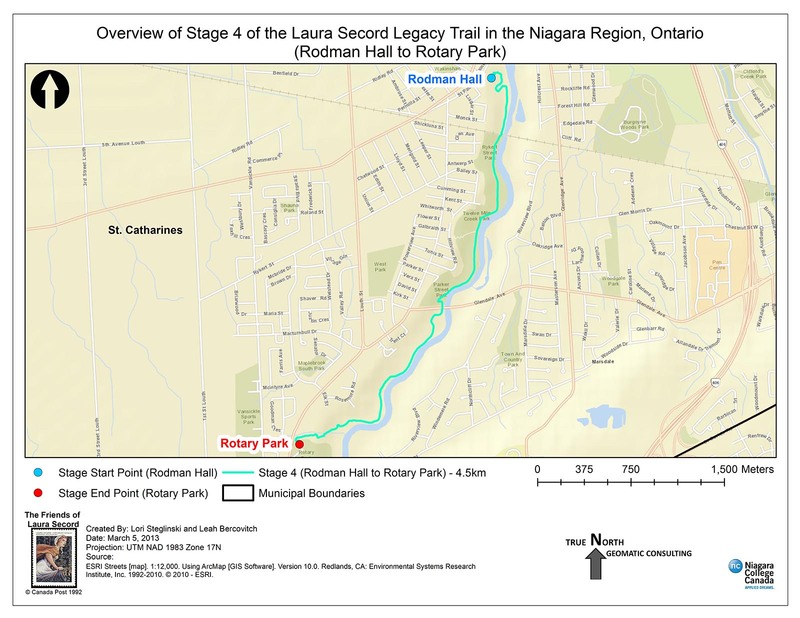 Overview maps and interactive Google maps of the five stages of the Laura Secord Legacy Trail are available for downloading below. Note that because the trail is 32 km long, you would need many printed maps for detailed trail navigation. 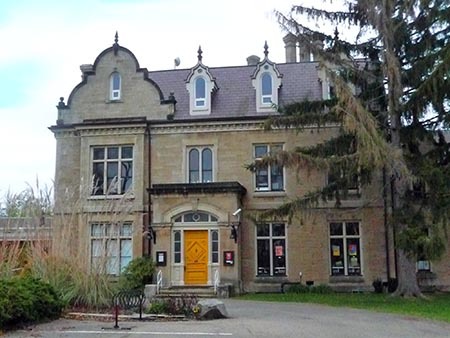 We recommend that you review the interactive Google maps online to familiarize yourself with the details of the trail sections you will be walking on. Also, if you have a smartphone with a data plan, you may also wish to bookmark the links to the trail guide and the interactive maps in the web browser of your mobile device so that you can access them in the field. You can zoom these maps to any level on your mobile device. 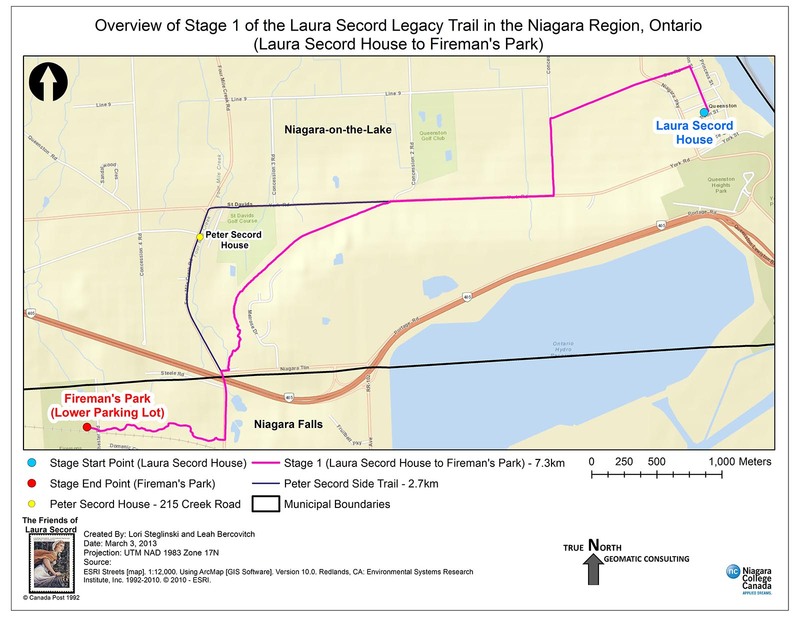 Click on the links in this table to view or download the maps of the Laura Secord Legacy Trail. You can open, download, and save the Google trail maps, and use them for navigation in the field. Or you can use Google Earth to explore the entire trail, including topography, elevation, and 3D trail flight simulation (requires free Google Earth software). 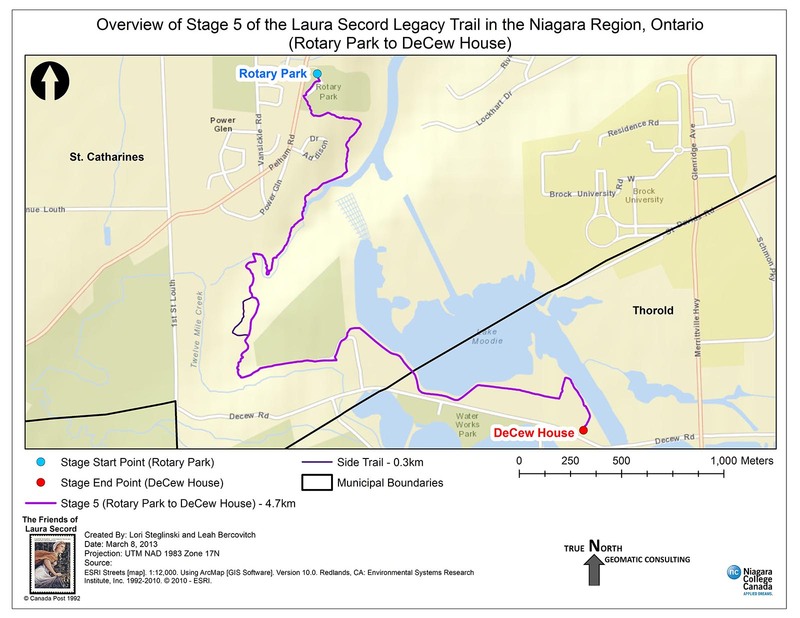 Spanning the full 32 km (20 miles) of her epic journey, the Laura Secord Legacy Trail is a permanent monument to Laura's legacy, as well as the site of the 2013 Laura Secord Commemorative Walk. 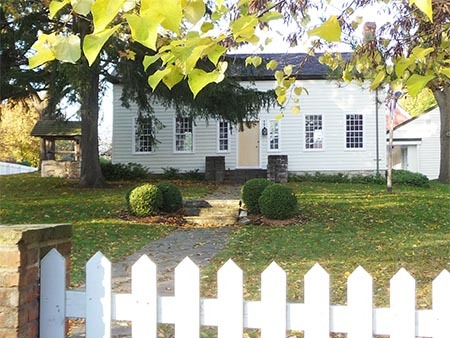 Considerable research was undertaken to identify the route Laura Secord took on that fateful June day in 1813 from the Secord Homestead in Niagara-on-the-Lake to DeCew House in Thorold, where she delivered her famous message. We have drafted a modern-day approximation of the route that can be negotiated safely by hikers of average abilities. 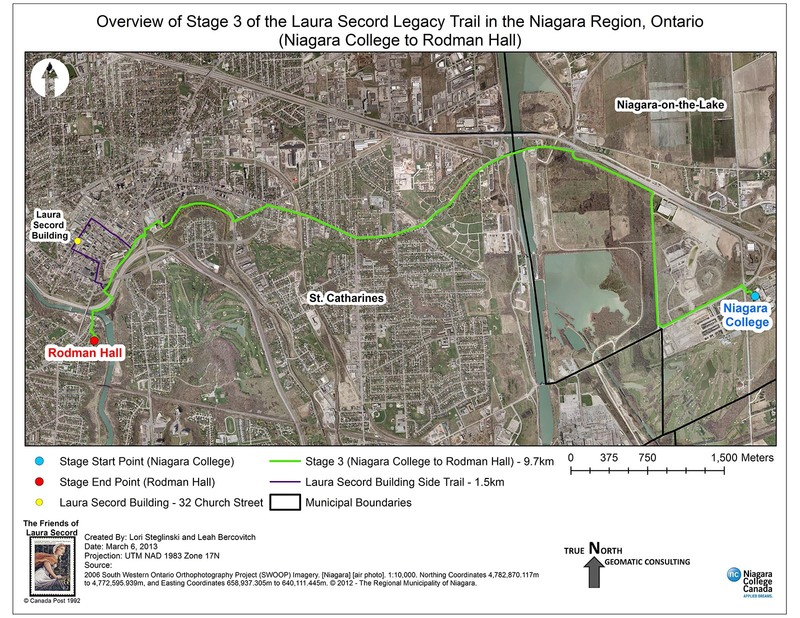 The five-stage route follows everything from ancient forested Indian trails to modern city sidewalks. You can hike the entire route, or break it up into shorter segments. 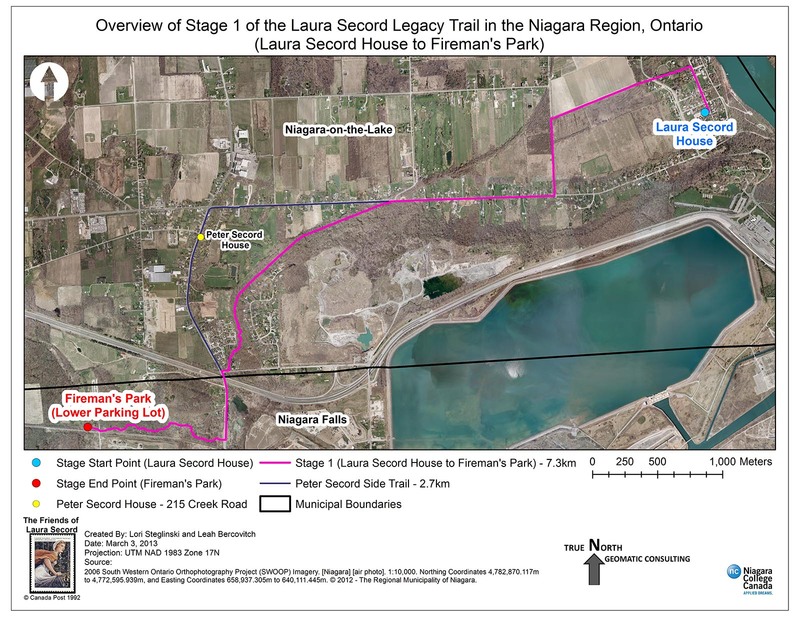 Above: The Laura Secord Legacy Trail travels 32 km from Queenston to Thorold. Click map image for a larger version. 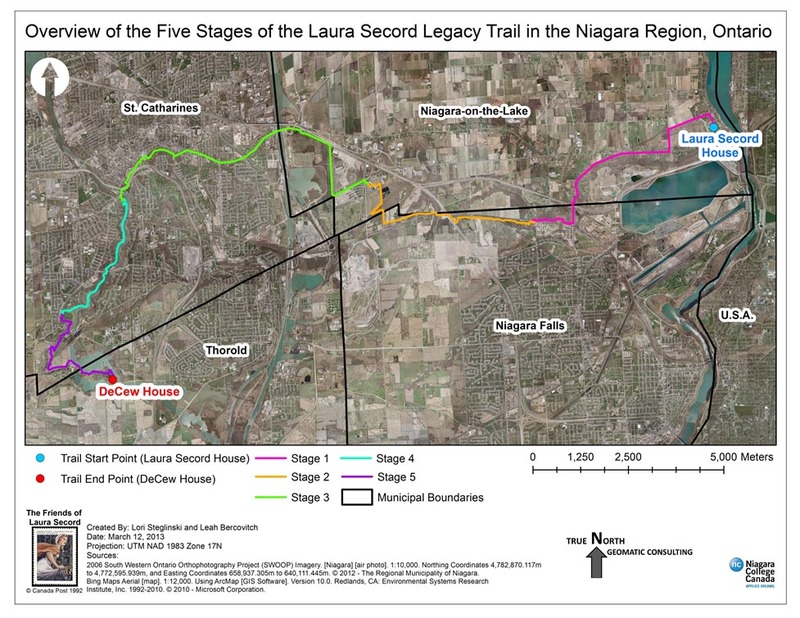 The Laura Secord Legacy Trail is divided into five stages, with six waystations along the route. 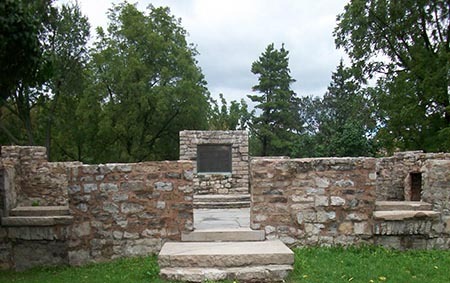 Each stage will give you a different walking experience, along a route that parallels the route that Laura Secord took in 1813. 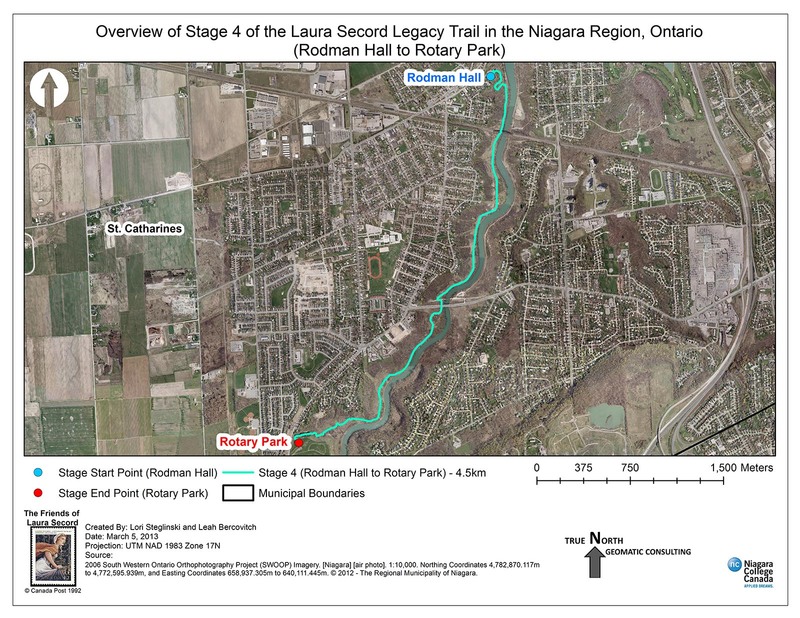 Though taken at different times of the year and different stages of trail development, the trail overviews below should give you a fairly accurate overview of the trajectory and features of the Laura Secord Legacy Trail.